Hong Kong is one of the most expensive cities for expatriates, not only because of its notorious housing problem, but also due to the price of food and clothing. According to a recent survey, in 2017 Hong Kong was the 9th most expensive location in the world and the 2nd most expensive location in the Asia-Pacific region after Tokyo. Nevertheless, there are many ways to save money in Hong Kong, if you really want to. Although many Hongkongers claim that eating outside is not much more expensive than cooking at home, in my own experience making your own food will help you save a lot of money. In this post, I would like to share some tips about eating on a budget in Hong Kong. Many people are tempted to buy food from convenience stores like 7-Eleven because they think it's cheap and easy. Well, it might be easy to pour hot water into a cup of instant noodles, or heat a prepackaged meal in the microwave, but this is neither healthy nor cheap. A cup of instant noodles, for instance, can cost between HK$6 and HK$20. That sounds pretty cheap, but you will see it's not. McDonald's is often the first place travellers go to for food, because they don't know where else to go. But the food is not healthy, and again, the low prices are just an illusion. That doesn't mean I am entirely opposed to McDonald's. The coffee is surprisingly good, and so are pastries. Eating burgers from time to time is no big deal. Moreover, McDonald's in Hong Kong offers free WI-FI. However, don't make it a habit. Wellcome and PARKnSHOP are the two ubiquitous supermarkets in Hong Kong, owned by two of the city's largest corporations: Jardine Matheson and Hutchison Holdings, respectively. Other large supermarkets, like Market Place and Fusion, are also owned by the two giants. These supermarkets have a nice ambiance and a wide variety of products, but they are expensive and quality isn't always very good. Vegetables are often not fresh, and lots of products are full of additives. Because the two corporations dominate the market, they don't seem to compete on prices and quality. If you live in Hong Kong, you should definitely try out its amazing food. Go and enjoy all kinds of restaurants. But if you believe the myth that Hong Kong restaurants are as cheap as making your own food, you won't be able to save much money. You will spend around HK$30-50 for a cheap meal, and more than HK$100 if you go to an upscale restaurant. If you buy a cheap meal, it will be quite heavy, with lots of white rice, some meat and few vegetables. If you want to eat healthy and cheap food, you have to go to discount chains and wet markets. My favourite choice for buying everyday food is a supermarket chain called Kai Bo. You will find it in many locations, such as Fortress Hill, Causeway Bay and Kennedy Town, it's just not in the prime spots, which are monopolized by Wellcome and PARKnShop. Kai Bo has a "local" flair, it's not as tidy as the big chains, and the staff don't speak English. But it has a great selection of fresh fruit and vegetables, and lots of products at a decent price. Many products from the same brands are cheaper at Kai Bo than at Wellcome or PARKnSHOP. For example, my favourite tofu (five spices tofu), costs HK$10.5 for 4 pieces at Kai Bo, and HK$8.5 for just two pieces at Wellcome. 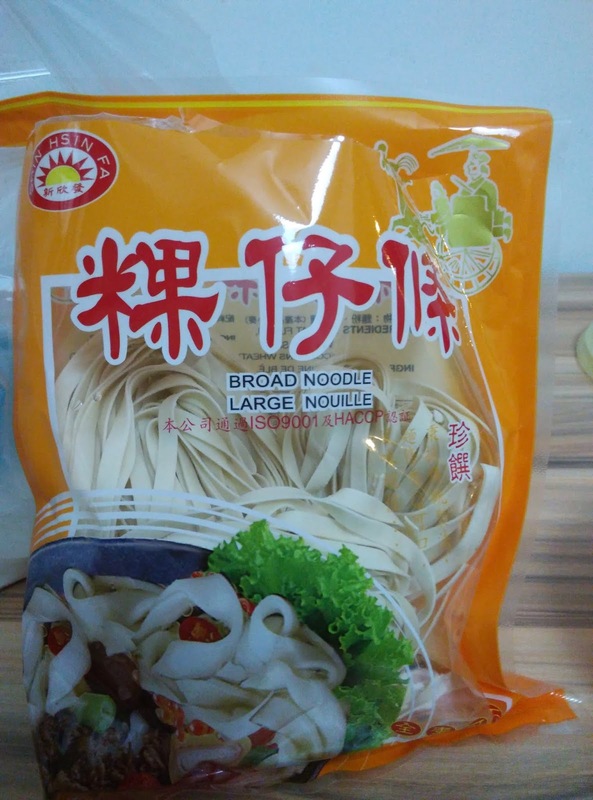 The same thing is true for many other products, such as dry noodles. Another discount chain is PrizeMart. 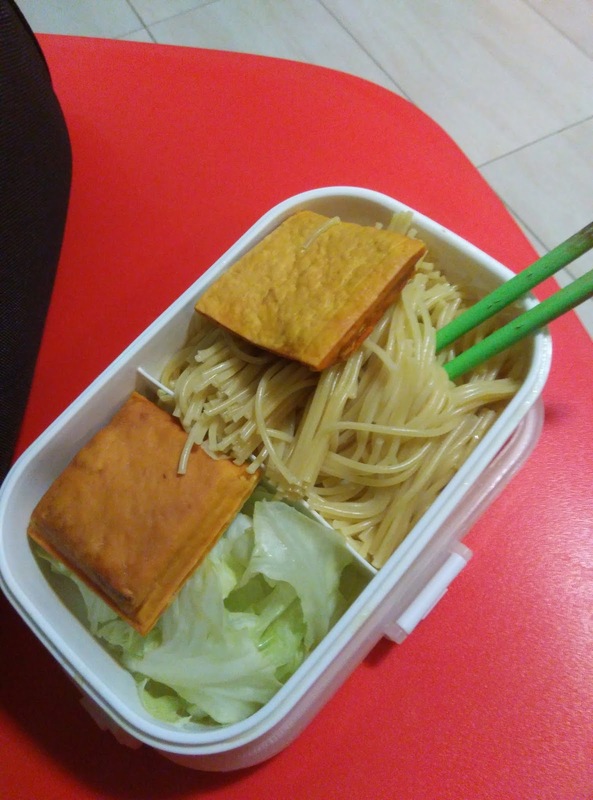 It has a less varied assortment than Kai Bo, and no frozen food, but it's good for buying cereal, pastry, pasta, sauce, canned fish, chocolate, soup base, etc. Another supermarket chain is 759, but you will only find some products on discount, while the rest will be quite pricey. Wet markets have a wide range of vegetables and tofu, and they often offer discounts at around 6 pm. In order to have a balanced diet, you need to eat protein, carbohydrates, and lots of vitamins. 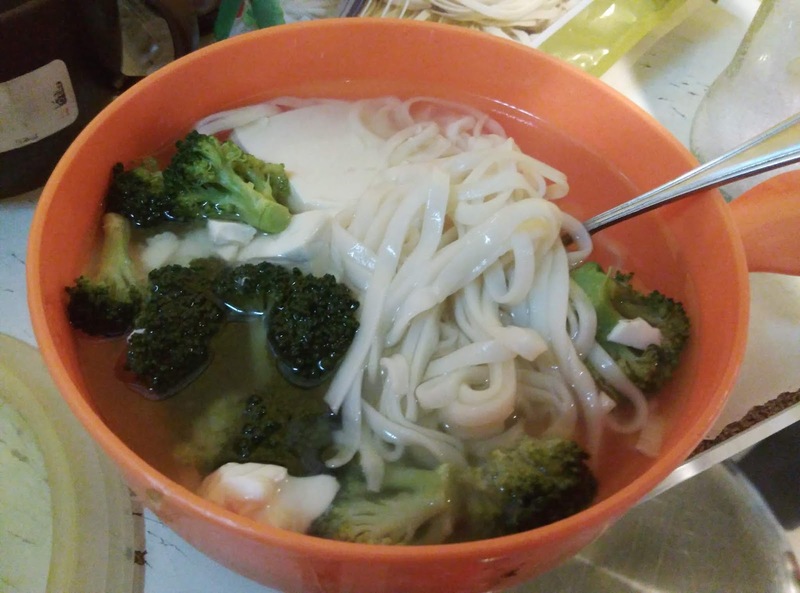 So, if you want to eat healthy and save money, just buy Asian-style noodles or Western pasta; eggs and tofu; and plenty of fruit and vegetables. You can eat well spending as little as HK$50 per day, or even less. You can cook these ingredients even by just using the microwave. Put water into a microwave-safe container and heat the food for at least 5 minutes. Some people believe that microwave ovens are not safe. However, there is no evidence of that, and the World Health Organization states on its website that microwave ovens are perfectly safe. Both travellers and long-term residents can use microwave ovens to cook simple food, if they cannot use a kitchen. 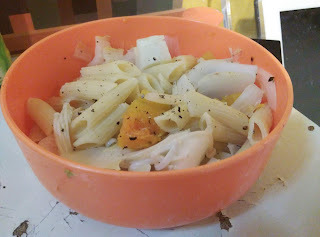 I used to buy the simplest possible things: noodles and pasta, tofu, and vegetables like squash, lettuce, broccoli, carrots, mushrooms etc. These ingredients are very cheap. HK$10.5 for four pieces of tofu; about HK$10 for noodles or pasta; and you can buy plenty of vegetables for HK$20-30. You can buy a lot of things for around HK$50, enough to eat for two days. That is why at the beginning I said that food from convenience stores or McDonald's only appears to be cheap, but it's not. At McDonald's you can only eat one meal for about HK$50, and at convenience stores you will end up spending the same or more just to eat crappy food. Taiwanese-style noodles I bought from 759. If you buy your own food in one of the supermarkets I recommended, you will be able to eat well and you won't have to spend HK$100-200 per day or more to eat. You eat healthy, simple and cheap food, and eat outside only a couple of times a week. I am sure you will feel stronger, lighter and better!